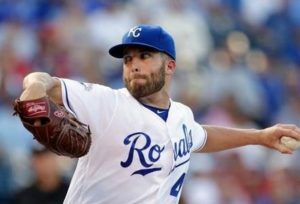 Single runs in the first three innings propelled the Kansas City Royals on to a 3-1 series opening victory over the Texas Rangers at Kauffman Stadium Friday night. Eric Hosmer got the scoring started for KC driving in Alcides Escobar in the first. Whit Merrifield would then drive Alex Gordon home in the second. Cheslor Cuthbert would cap off the scoring for the Royals in the third with his ninth homerun of the season.